These wheels were a replacement for my OEM 16" chrome 5 spoke trans am wheels on an '02 Trans Am convertible. They look AMAZING and ride smoothly! Fitment was perfect, finish was great and I expect to get many miles and smiles from this investment. The only things I would change are as follows: 1. Provide more width options, specifically 17x10.5" for C5 and C6 wheels, 2. Provide an option for blank center caps without the Corvette emblem, and 3. Lighten the wheel just a bit, though they are not considered heavy. This is my third OEWheels purchase, and I expect to get at least one more set of wheels from them! You can't go wrong with OEWheels' C6 wheels! Price can't be beat. Replaced original wheels and 15 year old yokohamas. Nexen tires hook up great and provide a smooth ride. The wheels are flawless! Tires and wheels look and drive great! Like giving my car a facelift. Thanks Mike G.
Beautiful set of wheels and tires. 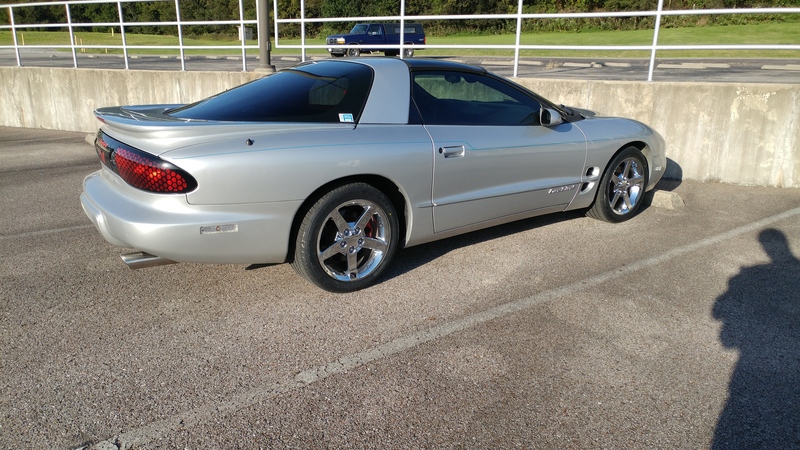 My old vette already looked pretty good but these wheels and tires took it to another level. The finish is beautiful. And I couldn't beat the price. I purchased these wheels for my 2002 Pontiac Firebird and couldn't be happier. They fit perfectly without any adjustments. I would highly recommend these to anyone who is wanting to replace their old Firebird rims and wheels.